The College of New Jersey Nursing Programs are fully accredited by all appropriate national, state, and specialized/professional nursing accrediting agencies. Accrediting agencies assure that programs in nursing education engage in effective educational practices in the preparation of nurses. A determination of accreditation by an accrediting agency is an indication of confidence in the educational institution to offer a program of quality, deserving of public approbation. (NOTE: Universities and colleges in the United States must hold appropriate regional accreditation in order to be recognized to award higher education degrees). All nursing programs must hold approval from their State Board of Nursing. Voluntary program accreditation by a specialized/professional accreditation body is highly desirable, particularly to assure graduates continued educational and employment mobility. 1. Commission on Colleges of the Middlestates Association of Colleges and Schools. This regional accreditation grants The College of New Jersey the right to award Bachelor, Master and Specialist degrees. Current Approval Period May 15, 2007 to May 15, 2015. 3. Commission on Collegiate Nursing Education (CCNE – Voluntary Specialized/Professional Accreditation – 2004 – 2018). The College of New Jersey Nursing Programs are fully accredited by all appropriate national, state, and specialized/professional nursing accrediting agencies. 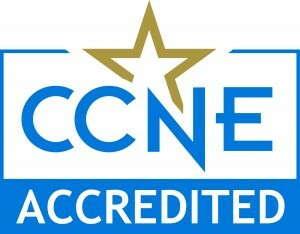 The Bachelor of Science in Nursing degree and the Master of Science in Nursing degree at The College of New Jersey are accredited by the Commission on Collegiate Nursing Education (http://www.ccneaccreditation.org). Accrediting agencies assure that programs in nursing education engage in effective educational practices in the preparation of nurses. A determination of accreditation by an accrediting agency is an indication of confidence in the educational institution to offer a program of quality, deserving of public approbation. (NOTE: Universities and colleges in the United States must hold appropriate regional accreditation in order to be recognized to award higher education degrees). All nursing programs must hold approval from their State Board of Nursing. Voluntary program accreditation by a specialized/professional accreditation body is highly desirable, particularly to assure graduates continued educational and employment mobility. 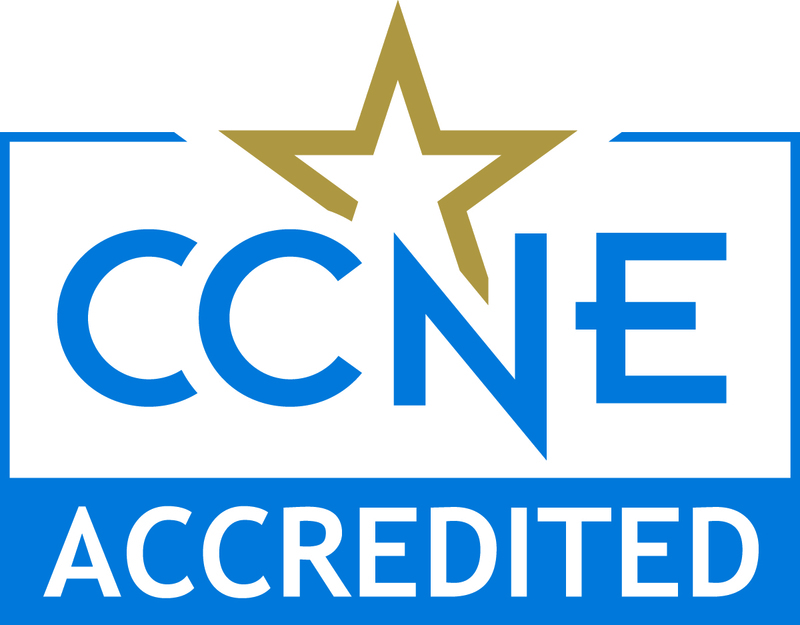 The post-graduate APRN certificate program at The College of New Jersey is pursuing initial accreditation by the Commission on Collegiate Nursing Education http://www.ccneaccreditation.org/. Applying for accreditation does not guarantee that accreditation will be granted.